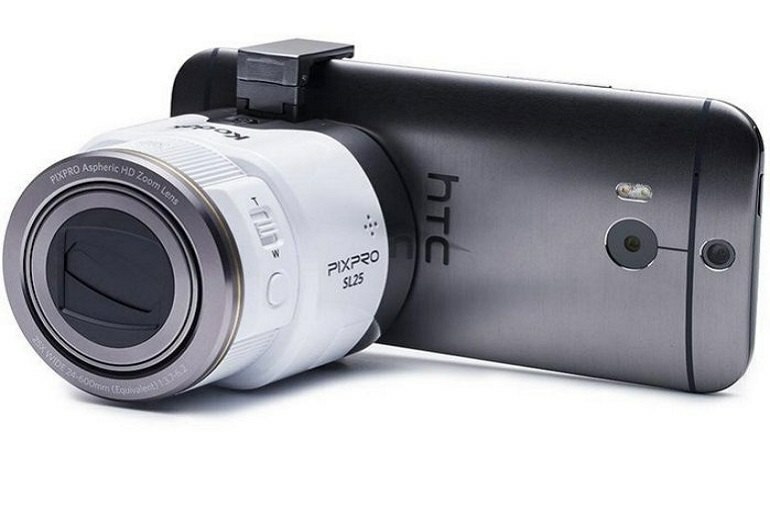 This camera takes good pictures, especially outdoors. It has an impressive zoom. The ability to separate camera from phone is a nifty feature. There's lag time when taking pictures. 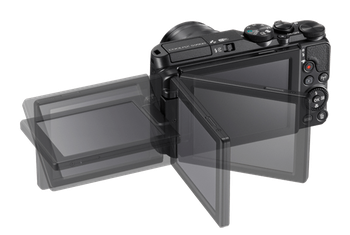 Portability may be an issue as it doesn't slide easily into a pocket. 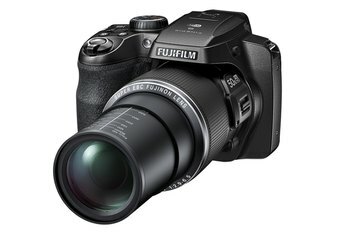 The SL25 doesn't shoot well in low light. 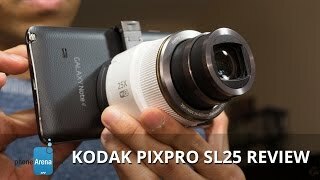 Kodak's PixPro SL25 camera module offers a 25x optical zoom, 16-megapixel BSI CMOS sensor, and 24 mm wide-angle lens in a truly compact package that pairs with your iOS or Android smartphone. 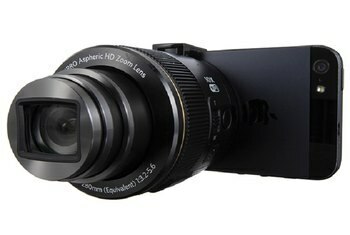 Clip it on, and the phone becomes the viewfinder. 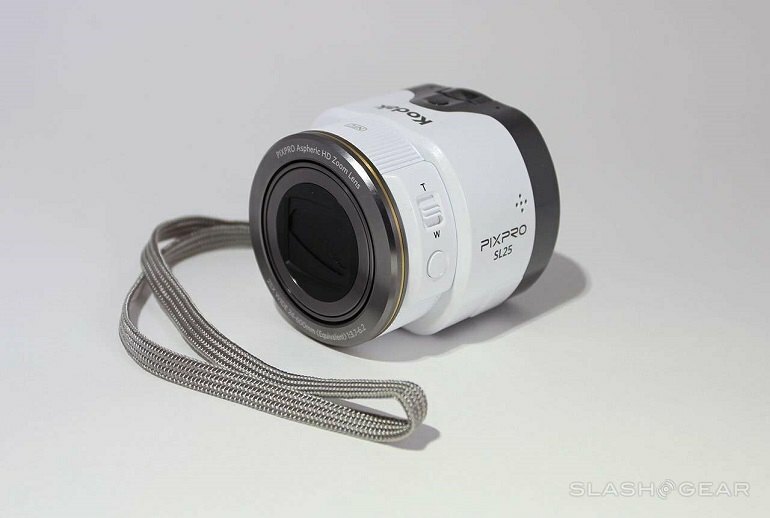 The camera also works separately from your phone, making selfies and group shots easy. 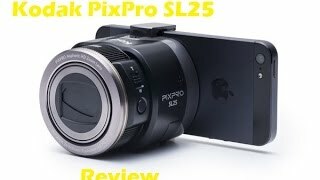 The PixPro SL25 takes both pictures and HD video, and its optical image stabilization ensures a steady hand. 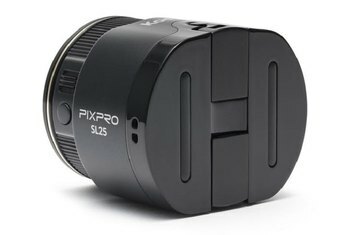 The PixPro SL25 is powered by a rechargeable lithium-ion battery. While I'm still not 100% sold on the idea of the lens camera form factor in the first place, the experience I've had with this device has been mostly positive. It’s an odd looking thing to those not familiar with this kind of product segment, but it’s still pretty bulky in size. Low-light shots aren't great. You can certainly stand this device up to keep from moving while you're gathering light, but the OIS this device works with doesn't do many miracles. If it's zoom you want then it's certainly zoom you'll get here: a 600mm equivalent is significant and will make far away subjects look close-up in the frame.